To find out more information about my sessions, check my availability or to book straight away, fill in this form. Please double check your email address carefully to ensure I can reply to your enquiry as swiftly as possible. If you would prefer to chat to me in person you can contact me on 07903772960. I look forward to hearing from you! Headshots session in Surrey with Ruby Woo Styling. The daffodils are beginning to pop up in our front garden which always makes me smile as spring is on it’s way! 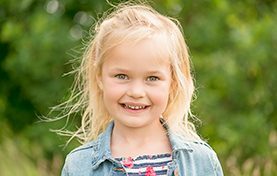 This February I have some private headshot sessions booked into my schedule and I am so pleased to have the extra time for these during these winter months with less outdoor family sessions to run. It is always a pleasure to meet fellow business owners and help them to produce their ideal headshot. Having a great headshot is an essential part of doing business in todays social media driven world. A great headshot can make a fantastic first impression on your potential new clients when they land on your website, Facebook business page, Instagram account or even your personal facebook page. I met Wendy at one of the regular headshot mornings which I ran during 2017 and 2018. The very lovely Ema Doherty owner of ‘The Hair and Beauty Artist’ did Wendy’s makeup. Wendy asked for dramatic and eye catching headshot, in her business colours. You can see one of her chosen headshots over here on her website. I now offer my headshot sessions privately on a 1-1 basis; with or without a makeup artist. They tend to take no less than half an hour and generally no more than one hour. We finish the session once you have viewed 2 – 3 headshot options that you are happy with. Do get in touch with me if you would like to refresh your headshot in 2019. I also offer personal branding sessions for small business owners in Surrey and in London. It was lovely to meet little Hope who was just 3 weeks old at the time of her session. I remember those magical moments when each of my two boys were little newborn babies. Those moments when they would fall asleep and you were too tired to get up and do anything and in fact the best thing to do was to sit there staring at the wonder of this new little creation and how beautiful they were and be amazed at how rapidly you fell in love with them. Count each eyelash, observe their soft breath and marvel at the way their hair forms – everything about them sleeping is so beautiful and delicate. I am not trying to romanticise motherhood. It’s a really tough job too…. for so many reasons. Having to function with extreme tiredness is immense in itself. However, I remember it was these little slices of quiet and calm that helped to forgive and forget all of those bigger and more challenging moments. When you have experienced all of the highs and lows of early parenting yourself, as a photographer, being able to photograph these very delicate and happy moments with a new family is immensely rewarding. January has been a great start to 2019 and here is my 2018 year in review! I hope your year is off to a great start too? It came as a little bit of a shock when I opened up my blog today and find my annual review from 2017 was only a short scroll down the page! I was so upset to realise I had posted so few blogs in 2018. So how did this happen? Well all I can say is that 2018 was one of my most varied years in business and being so varied meant I was extra busy trying to adjust to all of the additional admin and preparation that came with such an exciting variety of work. So I am going to attempt to give you a brief snap-shot account of what all of this exciting variety in my working year looked like here in this blog! Kids and their bikes (my charity project which you can read about here) came in to it’s own in 2018. I met some wonderfully enthusiastic children who had a love of cycling in common. 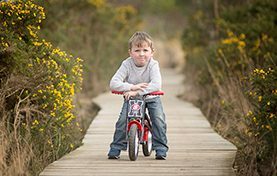 They varied in age from 1 year old through to 14 years old and each child had their own story as to why they enjoyed their bike. They showed me some new biking locations in and around Surrey and together we raised over £660 in parent donations to The Farnham Bike Ride Charity. The project is ongoing so I am looking forward to meeting new Kids and their Bikes this Spring. Please get in touch if you have a keen cycling toddler, child or big kid and you would like them to take part. Farnham Maltings Exhibition. Kids and their Bikes for 2017 /2018 culminated in an exhibition in July/August to coincide with the Farnham Bike Ride. I think the best part about the exhibition for me was meeting some of the parents and children again after their session at the exhibition and seeing the immense pride felt by the children, seing themselves portrayed in such a confident way doing something they absolutely love. Well done to the Kids and their bikes! Busy Lizzy Pop Up Baby Studio. One chair once a month at my home studio, lots of cups of tea, coffee, biscuits and chat! How fantastic it’s been over the last year working with the Busy Lizzy team and meeting so many wonderful new mums. I have loved developing this service for local mums with Rebecca Gray (Farnham’s Busy Lizzy franchise owner). It takes me back to when my two boys were little babies and I remember how invaluable the coffee mornings and mum gatherings were to my days on maternity leave. 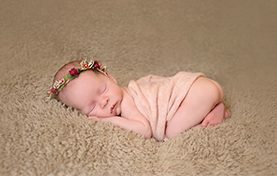 Natural light newborn sessions in your home. I think I started 2018 saying that I would only offer newborn sessions in my home studio. However, due to the nature of my studio space, this was going to mean using flash lighting instead of natural light. I gave it a go and discovered I actually enjoy natural light for these types of sessions so much more. I also really missed seeing parents relaxed in their own home with their new baby rather than have them turn up at my studio stressed out after packing up baby gear and traveling to me. : ) Happy parents make for happy newborn sessions! Lifestyle photography sessions for new families. I have always wanted to offer new parents the option of a newborn lifestyle session which means using the family home as the back drop for their session and incorporating lots of family interaction and nursery shots into the newborn session. I am so pleased I finally took the plunge and worked hard over 2018 to perfect this type of session which I can now confidently offer families. I hope to have a new gallery and session info updated on my website soon. Sarah Angel Photography in the press. The art of newborn photography, Wheelie Wellie Toddler photo shoots, a Christmas cover photo shoot and of course ‘Kids and their Bikes’ charity photography project have all featured in a range of publications including: Surrey Life Magazine (featured Artist for July); Life in Farnham Magazine; The Farnham Herald; and various other small publications local to Farnham. Baby and toddler groups. This year I have enjoyed intereacting with a range of baby and toddler groups including the toddler group ‘Follow your Wellies’. We organised a Wheelie Wellie Walk, which I photographed and we raised money for my ‘Kids and their Bikes’ project for the Farnham Bike Ride Charity. Out of all the toddler groups I photographed in 2018 this one was my favourite as I loved the outdoors aspect of the group. Beginners Photography Workshops have been a dream of mine for a number of years now as I am a fully trained photography teacher with nearly 20 years of experience in teaching photography alongside fine art in secondary schools. 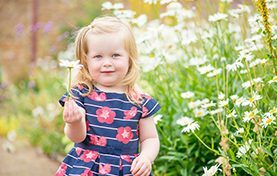 My photography sessions have always taken priority over the years whilst I juggled small children and working. Now that my two boys are a little bit older I have a little more time and energy to prepare and run a limited number of workshop days each year. 2018 has seen a higher demand for printed images and heirloom photography products from my clients. More and more of my clients are beginning to realise that whilst it’s good to have digital images to keep, it’s even better to have professionally designed wall art, framed prints, heirloom photography boxes or small canvas bound portfolio’s made for them as part of the photography experience that I offer. Most of you have told me that it saves you the hastle of attempting to design displays for yourself and you particularly enjoy the added excitement of opening up a large parcel of beautiful products after choosing your images with me. I have regenerated my passion for black and white photography and I can’t wait to update my website this year to reflect this. I love the timeless quality of black and white photography and it brings back wonderful memories of where my photography journey began, back when I learnt to develop my own negatives and photographs in a darkroom. Headshots and personal brand photography. I took a step back from offering my headshot mornings last year whilst I felt the need to focus more on the core family and newborn aspects of my business. I am looking forward to providing this service again this year on a 1-1 basis with small start up businesses and self employed professionals. Get in touch if you are interested in having your headshot or branding refreshed in 2019. I have a list of recommended hair and makeup artists if you would like this additional service for your shoot. Portraits pictures here were taken a couple of years ago. Hair and makeup by Ema The Hair and Beauty Artist. A year of all-weather photography. Having lived in Farnham, Surrey for two years now our family have been enjoying more time outdoors and I have met some highly adventurous new families in the area with an ‘all weather’ approach to being outdoors. For the first year ever I have run sessions throughout the winter and one or two families joined me for an impromptu snow session last February! My first outdoor session for 2019 is booked in for next week and it’s looking like we might get a bit of snow. Fingers crossed! If you are thinking about booking a session with me in 2019 than I do highly recommend booking 3 months in advance if you are interested in a weekend session as these dates are very limited but if you are looking for a last minute session then please get in touch as I do sometimes have last minute cancelatiosn to fill and I have plenty of flexibity for weekday sessions within school term time hours. It’s that time of year again where I have the pleasure of popping on here and wishing you all a wounderful Christmas and a happy New Year. Here’s hoping you have a peaceful Christmas without too much more rushing about, some time hopefully to sit and enjoy being with your children/family and hopefully not too many dishes and cleaning up to do! (….here’s hoping!). As some of you will know I always tend to make a bit of a fuss about producing a Christmas card each year. It all starts in late October when I come up with an idea for the card and find a willing model to work with. Then in November, after I have finished my Autumn season of outdoor mini sessions and family sessions I take a day out of my schedule to shoot and edit a series of images for my annual Christmas card. This year I had the added excitement of my Christmas card shoot also being a commissioned shoot for the front cover of Life in Farnham magazine! Hooray! You can see the cover and the e-zine version in it’s entirity here. Since a ‘Mummy and Me’ photo shoot in Surrey last spring (see the video below) I have been thinking a lot about how we view photographs of ourselves (and how we feel about being photographed), in different contexts and at different times in our lives. So what about us Mum’s feeling positive about images of ourselves with our children? What’s your ‘one day’ ? Sometimes as Mum’s it can be easier for us to take photographs of our children and avoid being in pictures with them. Avoiding photographs of ourselves is something I hear about from Mums fairly frequently and I know I have been guilty of it myself in the past. The phrase ‘one day’ comes up in these conversations a lot too! Make sure you exist in them. They love you just the way you are. Mummy and Me weekday photo shoot in Surrey. I am now offering Mummy and Me weekday photo shoots in Surrey. I have recently increase my weekday hours so that means I have more availability and it also means I am able to reduce my weekday session fee. Yay! This is great news for you if you are a mum local to Surrey or on the Surrey/Hampshire boarder as I am happy to travel. …and hopefully this might help make your ‘one day’ become a little bit closer to a some day very soon? I hope so! I see this as a welcoming opportunity for you (yes you, Mum) to come and have your photograph taken with your older baby or preschool child, so you can start the ball rolling to makes sure you exist in pictures with your children from a young age. So even if you are not yet up to coordinating a whole family session with Dad during busy family weekends or you would like to treat yourself to something that is just a gift for you and your child/children then get in touch with me. I have even put together a ‘Fine Art Taster Package’ especially for my weekday family session clients. It includes 3 digital images plus an 8 x 12″ Fine Art print. You can find out more about this and all of my packages here. P.S. You might find this post interesting too! Sarah Angel is a professional family, children and newborn photographer and mother to two adventurous boys. She is a professionally trained documentary Fine Art photographer and previously a Secondary school Art and Photography teacher. New Zealand born and based in Farnham Surrey. 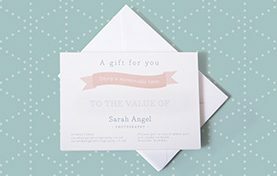 Sarah Angel Photography is based in the beautiful historic craft town of Farnham, Surrey. I travel to your chosen location for your newborn or family session. 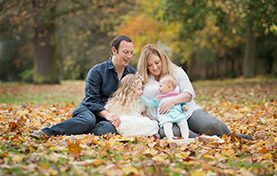 For family sessions I can travel within West Surrey, East Hampshire and London. I can travel further afield. Please get in touch and discuss your requirements. For Newborn sessions, due to sessions taking up to 6 hours, I only travel within a 10 mile radius from GU9, Farnham, Surrey. My session fee includes travel to you within 5 miles of Farnham, Surrey, GU9. When traveling further-a-field there is a small travel cost involved. Please contact me to discuss your location.